Many of the startups targeting the weddings space today are focused on offering better services for the bride and/or the couple, but with a new mobile application called Wedding Party, that model has been flipped on its head. Wedding Party wants to offer a better wedding experience for the guests first, which then, in turn, will benefit the couple being married. After all, doesn’t that guy always appear right when you’ve shoved a big bite of wedding cake in your face, or when you’ve gotten too tipsy from the open bar? Oh, that’s just me? The idea with Wedding Party is that, instead of putting people on the spot, guests can share the photos they captured during the celebration, or even write their own their own personal messages to the couple which will later be compiled into an online album. The startup has also just inked a deal to have that album integrated into the wedding websites from MyWedding.com, which will help it gain exposure in the increasingly crowded weddings space. Based in Mountain View, the bootstrapped company was founded by Ajay Kamat, Himani Amoli, Gordon McCreight and Dan Perez, all with previous social community building experience thanks to their earlier project called MicroMobs, except for Dan, who was at Coupons.com. 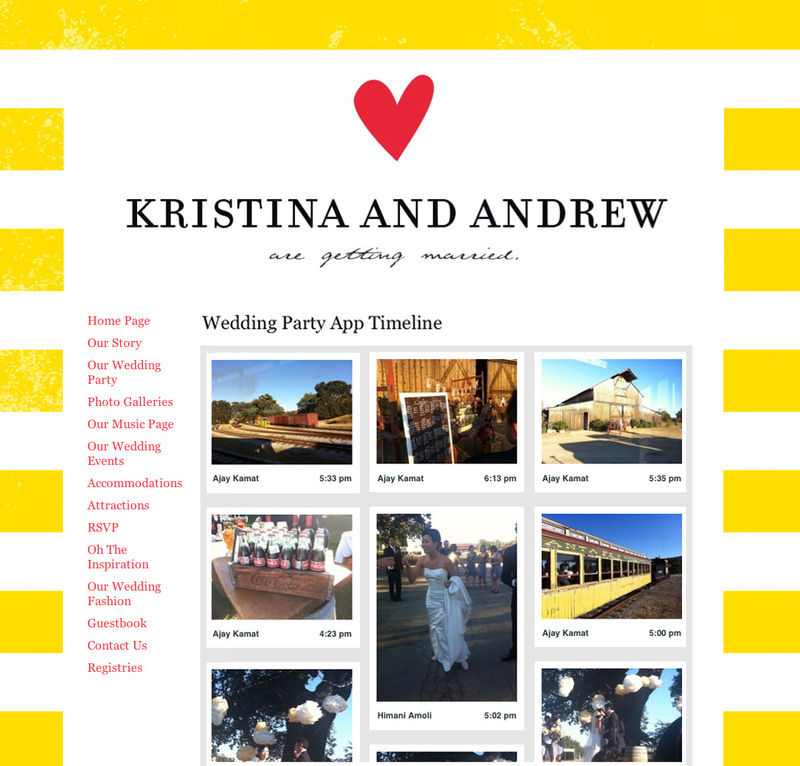 After seeing many of their friends getting married, they saw there was a big opportunity to build something in the mobile and social weddings space, instead of the more general “friends and family” space which MicroMobs addressed. “From the moment a couple gets engaged to the time they get married, there’s an incredible amount of excitement, not only only on the part of the couple but on the part of their friends and family as well,” explains Kamat. “And people close to the couple are really looking for an outlet to share in this joy and excitement…. [Wedding Party] allows friends and family to participate in an engaging way that really wasn’t possible,” he says. When the big day is over, Wedding Party sends a link to the couple’s inbox the next morning with all the photos collected, and it also organizes them in an online gallery and minute-by-minute timeline for later viewing. 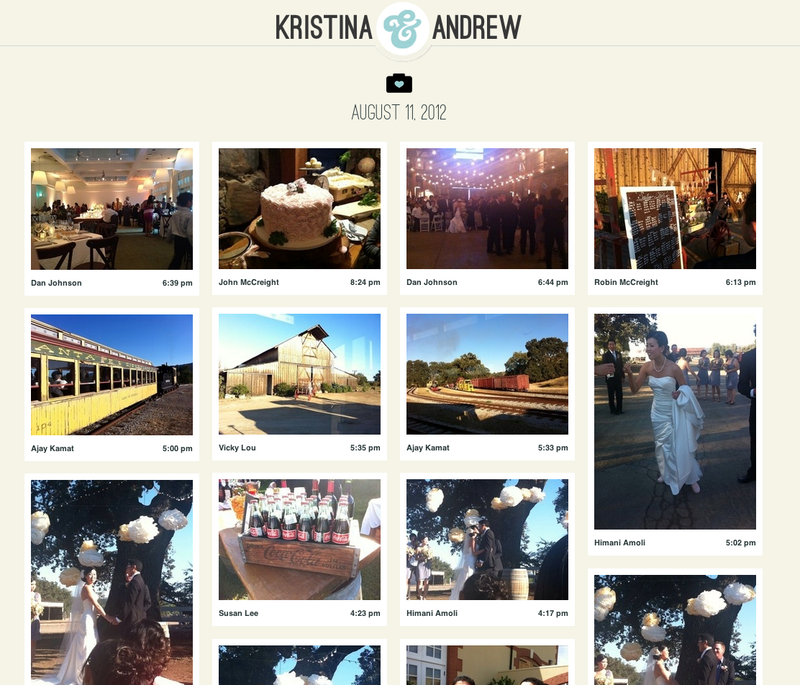 This same photo collection is available to MyWedding.com users as well, allowing it to be another feature of the couple’s wedding website. Prior to today’s public debut, Wedding Party has been in private beta testing with a couple of hundred of weddings, and Kamat says the response so far has been “tremendous.” Today, the application is becoming available to all, as a free download in the iTunes App Store. Don’t worry: an Android version is on the way. The app will always remain free, but the company may offer some premium features in the future. You can also find the company tweeting away at @wedding on Twitter, which they fortunately managed to grab.